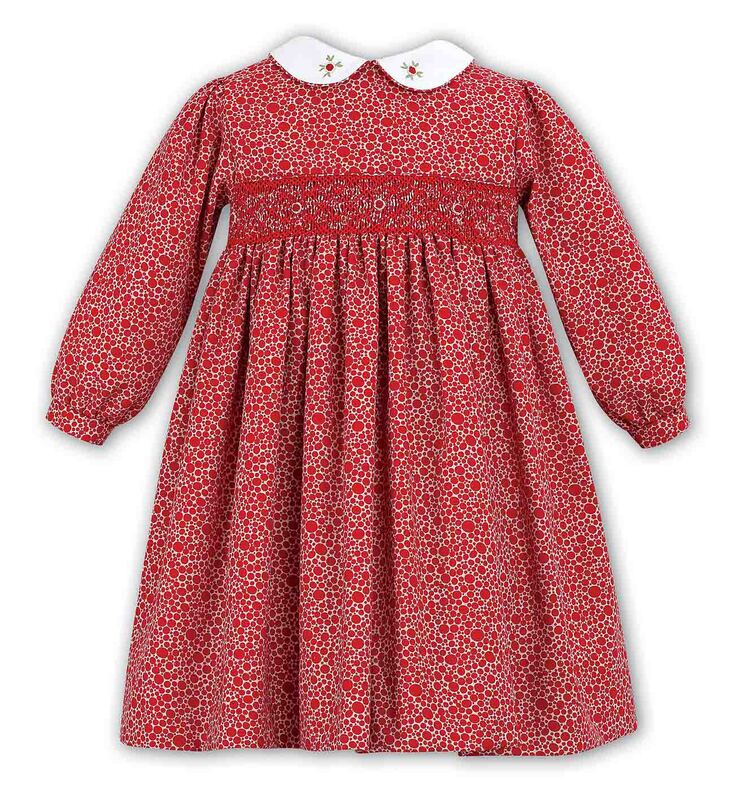 This darling red dotted cotton blend twill smocked dress is made by Sarah Louise, a top British designer of beautiful baby garments. 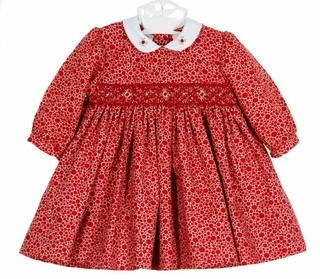 It features a hand smoked yoke accented with red embroidery and rosebuds. 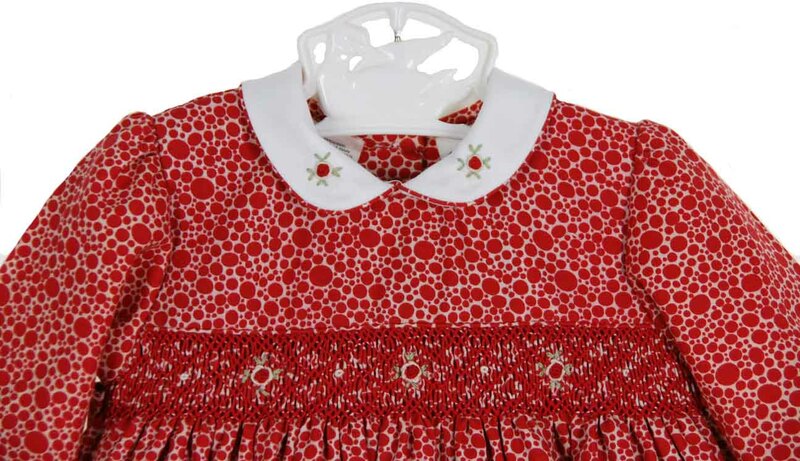 This sweet little dress has a white Peter Pan collar accented with red rosebuds and long sleeves with buttoned cuffs. 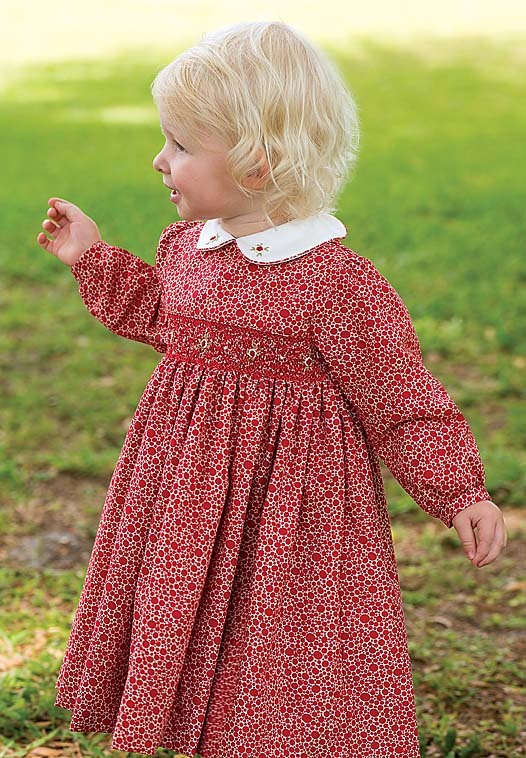 The dress is finished with a deep 3" hem. It has an attached petticoat for added fullness and closes in the back with three small buttons.